Around 2011 during the Master of Arts Open & Distance Education I resolved to give up on paper entirely: no files, no printing off and all books on Kindle. This time round I stay off the computer except for wordpressing, posting essays and supervisor feedback. Instead I am back to my teen student days of pen, paper, scissors and Sellotape and large scraps of coloured paper. It works for me, even if it is somewhat time consuming. What I haven’t understood is that greater academic skill at taking notes from references would greatly reduce the need to compost, then filter down a mass of too much information at a later date. Getting there. This 15,000 word dissertation on the behaviour and mood of volunteers as they enlisted in early September 1914 is not due until July. MOOCs are a relatively new phenomenon. There’s been a lot of hype about them. What does the research say? A ‘MOOC’ is a ‘Massive Open Online Course’, perhaps better called on ‘Free Online Course’. The ‘Massive’ comes from online video games where there can be huge numbers of participants. An early online module on engineering from Stanford had some 10,000 initial participants. A couple of years later and niche, less popular courses from far less prestigious establishments may have only a few hundred participants which takes the ‘massive’ out of the MOOC, and can in turn diminish the learning experience as only a fraction of students participate and only a fraction stay to the end. Well meaning MOOCs I have done, one for example on e-learning design for MOOCs, could well have been down to a dozen active participants by the end as the drop-out rate was so high, largely, in my view, in that instance, because the demands on and expectations of participating students was far too high. In addition to investigating ISI Web of Knowledge and Google Scholar, see also the bibliographic databases ERIC and PsycINFO and the full-text databases SwetsWise and ScienceDirect. My OU Student Blog has 55 entries on MOOCs, this begins with very early forays, lurking, in the 2010/2011 before committing as a participant twice this year, in the Open University’s Online Learning Design MOOC (OLDS MOOC) and the OU’s Martin Weller chaired H817 Open MOOC. I was able to give five then three weeks full-time to each before EMAs and life made me reduce the time I could give to them. Particularly the OLDS MOOC that I would describe as a standard OU Module with as many, if not more activities and even more potentially to read … as well as the now obligatory interaction in a Google Hang-out and forums which, unlike in a standard OU Module, had the active participation of some of the heavy hitters of online learning. A blind alley though, other than a reminder of what it is like to take part in a MOOC. Is anything known about the educational impact of MOOCs, as distinct from their news impact? What could be known about MOOCs? Are research methods being developed ‘new’? You may go up many blind alleys, but persist. You might not find a huge number of high quality research studies. As mentioned above good research often takes time to set up, analyse and write up; and the most highly rated journals typically have detailed peer review and editing processes, followed by long lead times for publication. You may well find yourself in the so-called ‘grey literature’ – conference papers, technical reports, reports to funders, web pages, blogs, and so on. Such grey literature was once more difficult to search than journals, but now dominates online search results. It has traditionally had a lower academic status than peer-reviewed journals. However, this situation might change because of the growth of web-based publishing and the need for studies about fast-changing technologies to be published quickly. As previously, keep notes on what you find, and on your reflections. A number of common problems occur in breaststroke as swimmers move from teaching into competitive swimming – these include raising the head too high so dropping the hips, pulling the arms passed the shoulders towards the hips on every stroke, and a screw kick. In this learning object we look at fixing the arms. Those who teach or coach swimming in UK swimming clubs. Typically volunteers with the Level 1 Assistant Teaching Aquatics Amateur Swimming Association (ASA) qualification or Level 2 Teaching Aquatics, as well as those with coaching qualifications. The differences here relates to the developmental stage of the swimmer, whether they are being taught to swim in a teaching group, or coached to swim faster in a skills group. Personnel records held by clubs should identify the medical conditions and disabilities of all members, including the coaching staff. Dyslexic pupils learn in a different way to non-dyslexic pupils, so that any support should be dyslexia specific and offered on a one-to-one basis. Putting dyslexia pupils in a remedial group for slow learners and other special needs will not be appropriate. In addition, dyslexia occurs independently of IQ and should not be equated with low ability. Ten percent (10%) of the British population are dyslexic; 4% severely so. Around 35-40% of people with dyslexia suffer with a visual stress difficulty where text appears to move around or look distorted in some way. Coloured filters, either as overlays or glasses with coloured tinted lenses have been found to helpful. Coloured filters will help to make the text visually clearer and more comfortable to see, and therefore can aid the learning process, but they will not teach a child to read. To be effective, an individual will need assessing to find the precise colour tint. Upset by glare on the page or over sensitive to bright lights. Many dyslexic people are sensitive to the glare of white backgrounds on a page, whiteboard or computer screen. This can make the reading of text much harder. The use of cream or pastel coloured backgrounds can mitigate this difficulty as can coloured filters either as an overlay or as tinted reading glasses. – People with reading difficulties sometimes have a weakness in eye co-ordination or focussing and an eyecare practitioner might recommend treating this with eye exercises or glasses. If these problems are present, they should be detected and treated before coloured filters are prescribed. Research in the UK and in Australia shows that people who need coloured filters, who are said to have visual stress, need to have exactly the right colour. Many optometrists and orthoptists use a special instrument, the Intuitive Colorimeter, to determine the exact colour that is necessary for coloured glasses. The choice of colour of text on white backgrounds can also affect clarity e.g. using red on a whiteboard can render the text almost invisible for some dyslexic students. For information on dyslexia friendly text see Dyslexia Style Guide sheet. Correctly identify the fault through careful observation of the swimmer, employ a variety of exercises and drills to address the fault, use the whole-part-whole approach to isolate parts of the stroke and put it together again. Relate the stroke to the rules governing competitive swimming and the most efficient way physiologically for a person to swim the stroke. How do we want to say it? In a way that communicates clearly to the broadest users and therefore includes those with the kinds of disabilities that present themselves in swimming teachers and coaches – such as dyslexia. As well as supporting swimmers who may wish to use the resource who have impairments in relation to vision, hearing, mobility and cognition. How do we want them to respond to this? That was very useful. I was able to extract from this learning object the knowledge I required either to fix faulty arms in breaststroke or to improve my own swimming. Increasingly smartphones are becoming the handheld tool of choice that offer swimming teachers and coaches the opportunity to pick up advice and suggestions on best practice poolside as they prepare for, between, or after swimming sessions. The learning object should be scalable to multiple devices – desktop, laptop, and touch screen tablets and smartphones. A downloadable PDF version for eBooks would also be of value as these too are being deployed poolside to assist teachers and to display content to swimmers. The Learning Object is a post on the WordPress blogging platform. There are 17 parts, 9 images and 2,752 words. The language is non–technical, written in short clear sentences that those at this level of swimming teaching or coaching will understand. Images, diagrams and tables are carefully explained thought not offered in alternative text versions. There is a simple narrative logic to the running order that gives the purpose of the object and what it sets out to do. The content goes from fault identification to fix and progresses from simple to advanced. Gagne’s nine instructional steps are followed. Viewing can be enhanced with browser web tools. A screen reader will pick up the text and descriptions of the images. It is a resource, a blog post, not a activity. There are non interactive components. It would have been nice to show a video clip, to have audio options built in say to explain the table and chart. I would like to have added a multichoice question component. 2). Compare this to a similar blog post and a Xerte learning object. 3). Evaluate the accessibility of your resource, identifying its strengths and weaknesses. You could describe this as a universal design as it uses a platform that is readily available. Whilst there are theme choices, some which would make the text, images and layout less accessible there were none offered with accessibility in mind. To improve that accessibility would require at least some work on the code, or migrating the text to a disability designed platform such as Xerte. The rebuild in Xerte produced a refined and simplified expression of the blog post. The same logical sequence of identifying then fixing a fault was offered however in this instance the simple, clear dashboard buttons of Xerte allow the use to select a background colour and text colour so adjusting with ease the contrast levels which would assist someone who is Dyslexic while point size adjustments would immediately permit someone with a modest visual impairment to follow the text. Design to guidelines, following the WCAG 2.0 Code. 1 (perceivable) Provide text alternatives for any non-text so that it can be changed into other formats people needs such as large print, brail, speech, symbols or simpler language. 3P Create content that can be presented in different ways (for example simpler layout) without losing information or structure. 6O Provide users enough time to read and use content. 7O Do no design content in a way that is known to cause seizure. 😯 Provide ways to help users navigate, find content, and deteremine where they are. 10U Make Web pages appear and operate in predictable ways. 11U Help users avoid and correct mistakes. 5). Reflect on the processes of creating and evaluating accessible resources. For good design in anything ‘form follows function’ an idea expressed by minimalist architects such as Le Corbusier, Walter Gropius, Alva Aalto, Mies van der Rohe and Gerrit Rietveld. Keeping web design simple has its proponents too, not least Jakob Neilsen (2000). This applies to those seeking an approach to accessibility through universal design too – clarity of expression, the marriage of text and images in a logical learning sequence denotes usability. These minamilist architects spoke of ‘ornament as a crime’ – which in the context of e-learning design would count against interactivity as an indulgence. Any learning curve, shallow or steep, is exactly that and we each react differently to a new platform when it is presented. I gave Xerte a go but struggled so decided instead to use a blog post in WordPress to compile the content, and where I could with themes, layout and other choices do what I could to makes this more rather than less accessible. In reality it is a blog post like any other with little provision for greater accessibility other than adding text to describe the images and charts. A good deal can be done here, writing in short, clear sentences, avoid jargon and keeping to a logical sequences with clear headings and subheadings – all good practice for everyday web usability and use of English. With the Custom Design upgrade you can make your blog look and feel exactly the way you want.Customize the fonts in your theme with ease, apply a custom color palette and background pattern, or dive into CSS to make all the presentational changes you desire. A straightforward theme for WordPress was chosen that is less cluttered than its predecessor.Tips on writing about an image, graph or table were taken from UKAAC. A version was created in Xerte – this forced my hand, obliging considered editing of the text and images down to the essentials. Although in the time I managed some of the basic skills creating a logical sequence of 12 pages with a selection of supportive images, I was unable to establish how to load a piece of Creative Commons video, or to create an activity, such as multi-choice questions both which would have contributed to making it a piece of accessible interactive learning, rather than simply a resource. 6). Use the research and practice literature to explain and understand your experiences of these processes. UCD puts the focus on the needs perceived or observed of a single student, rather like an author writing with one reader in mind, as Kurt Vonnegut put in 1999 ‘Write to please just one person’. The designer here needs to have in their minds eye just one persona, one construction of a student using their resource who has a set of traits based on their gender, age, socio-economic background, level of educational achievement, personality, educational track record and any disabilities to take into consideration. The view with UCD is that no single design is likely to satisfy all different learner needs. The classic example given to support this argument is the perceived conflict between the needs of those who are blind and those who have cognitive disabilities. For example, the dyslexic’s desire for effective imagery and short text would appear to contradict the blind user’s desire for strong textural narrative and little imagery. However, Bohman (2003b) provides a counterbalance to this argument stating that while the visual elements may be unnecessary for those who are blind, they are not harmful to them. As long as alternative text is provided for these visual elements, there is no conflict. Kelly et al (2004) argue that since accessibility is primarily about people and not about technologies it is inappropriate to seek a universal solution and that rather than aiming to provide an e-learning resource which is accessible to everyone there can be advantages in providing resources which are tailored to the student’s particular needs. Is iterative design – i.e. there are repeated cycles of design, test, redesign and retest. use an iterative product development life cycle. At the most extreme degree of disability the BBC recently reported (BBC 4 13th November 2012 of a man in a vegetative state for 10 years who has been able to communicate that he is in no pain. Vanderheiden speculated(2007:152) that research on direct brain control would soon allow such patients to control devices in their environment. Designing for such a learner, because it pushes the boundaries of what has been done before, would be revealing and have broader applications. Universal design (UD) is the process of creating products (devices, environments, systems, and processes), which are usable by people with the widest possible range of abilities, operating within the widest possible range of situations (environments, conditions, and circumstances) Vanderheiden (1996) although he also argues that ‘it is not possible, however, to create a product, which is usable by everyone under all circumstances’. Striving for UD results in simplicity which in turn favours usability – if this is done with disability in mind a better product will be developed that also serves the needs of all users including those who are not disabled. Thompson (2005) argues that ‘providing a clear, simple design, including a consistent and intuitive navigational mechanism, benefits a variety of users with disabilities’ – more than this inclusion not only favours disabled people, but also socially disadvantaged affected by financial, educational, geographic and other features. (Gappa et al. 2004). On the other hand, the reality is that those who aim for UD are aiming to design for a majority, rather than all (Witt and MCDermott, 2004; Bonham, 2003). There is a caveat to UD – Seale (2006) feels that there are some who feel uncomfortable with the principles of UD because they appear to relieve educators of the responsibility of addressing individual student needs. Central to the idea of UD is a commitment that products should not have to be modified or adapted – yet that is exactly what designers ought to consider offering to disabled students – the opportunity, with plugins, Apps or browser controls, to modify a universal design to suit their needs. Thompson (2005) also believes that this is how web content that is accessible to the broadest possible audience using a wide variety of input and output technologies. Whilst Bilotta (2005) believes the claims of UD are over-done, that web accessibility techniques can never replace true inclusive user centre design. With the growing use of a plethora of mobile devices – smartphones and tablets, there is a growing expectation and demand for web content to be equally accessible to all on these devices – the developing use of HTML 5 permits ‘responsive’ design where content designed once for one platform adjusts iteslf as it appears on a different device. The compromise between UD and UCD is to design for adaptability – allow and expect users to configure the application to meet their needs (Owens and Keller 2000; Arditi 2004) enabling the application to make adaptation to transform seamlessly in order to meet the needs of the user (Stephanidis et al. 1998; Cooper et al. 2000; Hanson and Richards 2004; Alexandraki et al. 2004). Alexandraki et al describe the ‘eAccessibility Engine’, a tool which employs adaptation techniques to automatically render web pages accessible by users with different types of disabilities. Specifically it was capable of transforming web pages (at that time) to attain conformance to Section 508 standards and ‘AAA’ conformance to Web Content Accessibility Guidlins. Whilst Cooper et al (2000) points out that people have different needs when seeking to use a computer to facilitate any activity, research by Seale and Draffan a decade later (2010:458) indicates that students with disabilities also show considerable agility at negotiation the affordances of various computing devices and that ‘the dual inclusion in the context of disabled learners does not always have to be understood through the dual lenses of deficits and barriers’. Which rather makes me think that following the web design principles that Neilsen (2000) set out a decade ago will suffice : effectiveness, efficiency and satisfaction can be achieved by following four main design principles: make the site’s purpose clear, help users find what they need, reveal site content and use visual design to enhance, not define, interaction design. Usability and accessibility are different as Powlik and Karshmer (2002:218) point out: ‘To assume accessibility equates to usability is the equivalent of saying that broadcasting equates to effective communication’. Arditi, A. (2004) Adjustable typography: an approach to enhancing low vision text accessibility. Ergonomics, 47, 5, 469–482. Barnum, C. (2002a). The ‘magic number 5’. Information Design Journal & Document Design, 11(2/3), 160-170. Bilotta, J. A. (2005) Over-done: when web accessibility techniques replace true inclusive user centred design. Paper presented at CSUN ’05, Los Angeles, 17–19 March 2005. Online. Available HTTP: <http://www.csun.edu/ cod/ conf/ 2005/ proceedings/ 2283.htm> (last accessed 17 Nov 2012). Bohman, P. (2003) Introduction to web accessibility. Online. Available HTTP: http://www.webaim.org/ intro/ (last accessed 16 November 2012). Gappa, H., Nordbrook, Mohamad, Y. and Velasco, C. A. (2004) Preferences of people with disabilities to improve information presentation and information retrieval inside Internet Services – results of a user study. In K. Klaus, K. Miesenberger, W. Zagler and D. Burger (eds)Computers Helping People with Special Needs. Proceedings of 9th International Conference. Berlin Heidelberg: Springer-Verlag, pp. 296–301. (last accessed 17 Nov 2012). Luke, R. (2002) AccessAbility: Enablishing technology for lifelong learning inclusion in an electronic classroom-2000. Educational Technology and Society, 5, 1, 148-152. Nielsen. (2000). Designing for web usability. (1st ed.). (Vol. 1). Indianapolis, IN: New Riders Publishing. Owens, J. and Keller, S. (2000) MultiWeb: Australian contribution to Web accessibility. Paper presented at the 11th Australasian Conference on Information Systems, Brisbane, Australia. Online. Available HTTP: <http://www.deakin.edu.au/infosys/docs/workingpapers/archive/Working_Papers_2000/2000_18_Owens.pdf.&gt; (accessed by Jane Seale 5 October 2005 but no longer available). Paciello, M. G. (2005) Enhancing accessibility through usability inspections and usability testing. Paper presented at CSUN ’05, Los Angeles, 17–19 March 2005. Online. Available HTTP: <http://www.csun.edu/ cod/ conf/ 2005/ proceedings/ 2509.htm> (last accessed 17 Nov 2012). Powlik, J. J. and Karshmer, A. I. (2002) When accessibility meets usability. Universal Access in the Information Society, 1, 217–222. Sloan, D and Straford,J (2004) Producing high quality materials on accessibly multimedia. Paper presented at the ILTHE Disability Forum, Anglia Polytechnic University, 29 January. Sloan, D., Stratford, J., & Gregor, P. (2006). Using Multimedia to Enhance the Accessibility of the Learning Environment for Disabled Students: Reflections from the Skills for Access Project. ALT-J: Research In Learning Technology, 14(1), 39-54. Stephanidis, C., Paramythis, A., Akoumianakis, D. and Sfyrakis, M. (1998). Self-adapting web-based systems: towards universal accessibility. In C. Stephanidis and A. Waern (eds) Proceedings of the 4th ERCIM Workshop ‘User Interfaces for All’ Stockholm: European Research Consortium for Informatics and Mathematics, pp. 19–21. Vonnegut.K. (1999) Bagombo Snuff Box: Uncollected Short Fiction (New York: G.P. Putnam’s Sons 1999), 9-10. Witt, N. and McDermott, A. (2004) Web site accessibility: what logo will we use today? British Journal of Educational Technology, 35, 1, 45–56. Yu, H. (2003) Web Accessibility and the law: issues in implementation. In M. Hricko (ed.) Design and Implementation of web Enabled Teaching Tools. Ohio: Kent State University. If this looks like a distraction – it is! I only got up to crack on with H810: Accessible Online Learning. Supporting disabled students – to work on a report and delete images of family and friends from blogs or accessible online galleries. 1) The screen-grab above demonstrates some kind of excellence in relation to presenting data in a visual form – for anyone. There is no conflict or ‘overload’ between the language and visual centres of the brain. You listen to the commentary, and see the supporting graphics. The images are blunt, bold and big – compare this to that PowerPoint presentation with chunks of text, long list, irrelevant photo art grabs and such … and silly wipes between screens. 2) The report knocks an End of Module Examination (EMA) into the rough – this is the real thing – a spec to set up e-learning for the next 3-5 years. I don’t even trust ‘Locking’ pages as once leaked stuff is easily cut, pasted and re-released. We’ve had the editor of Newsnight resign because something he said in a blog was inaccurate – you see a blog really is just electronic paper, it can be nonsense, or it can be used against you. Over a decade ago no one took the blogger seriously – we’d might as well have been writing on bog-roll. Then I caught a piece about ‘Creep Shots’ on BBC Radio 4. The pernicious side of this is posting shots of people, say commuting into work – the viscous end of this being the ‘up the skirt’ antics that ought to lead to criminal prosecution – and does where it can be proved. The ‘innocent’ side of this is posting shots of people picked out from a crowd – what do the hundreds of photographers do with the tens of thousands of photographs they took at the Lewes Bonfire Night marches? To save the embarrassment of family and friends I’ve removed or locked images of them. That is because through association they can be identified. Why should anyone link to and have a laugh at their expense. But what about total strangers? I’m not going to restrict myself to mid and distance shots. Do any of the people who had too much to drink want to find them pasted into a blog or featuring on the pages of a local paper? It’ll only get worse – a headcam can snap or record almost everything you see. Where might that content go? Or will we become blind to the exposure? As a child we posed in our swimming teams in our trunks – such shots, certainly online, tend to be swimmers wearing a club T shirt or trackie. We follow Sports UK Child Protection Guidelines. An example of where you need to be sensitive however came where I was advised that an adopted child should not feature as it would be inappropriate should blood relatives of that child see it. In relation to H810 Accessible Online Learning: supporting disabled students. It is of course as appropriate to seek permission, even ask them to sign a release form, before a disabled student … indeed any student is featured online, whether or not they are identified. In the case of minors they should not. Take this post – ‘visible to all Open University users’ a few clicks and anyone can cut, paste and put it on a more public platform. The same whether online or off? That and with millions of pages uploaded every hour (or is that every minute), the chances are anything and everything you do will fall on deaf ears anyway. Two months into ‘H810: Accessible online learning: supporting disabled students’ I find my antennae are picking up signs and symbols, practices and expectations related to access. A bus that is full unable to take on the wheelchair user. A blind person on the tube. Fig.2 Sign as you exit Tower Hill underground. I like the fact that neither the words ‘disability’ or ‘access’ are used. A notice outside Tower Hill tube station and Video clips on products, services and experiences that give some insight into whether or not a piece of assistive technology works or not. This week (or last) I’ve been getting behind so jump back and forth between the two we were asked to try some specific tasks as if we were blind. Being the stubborn type I have pressed on with this, alone. Taking my glasses off is a shocking start as I find my face close to the screen. Wearing a blind fold is the next step. Also, as I videod test drivers doing, putting goggles made of plastic coffee cups with the bottoms cut out over my eyes to recreate tunnel vision. The evidence of the last couple of months, let alone witnessing the Paralympics, shoes how far more diverse the community of people with disabilities is, compare to the rest of the population. Loss of vision is on a scale, as is hearing and mobility. I guess this is what I am meant to conclude. I have tried to test accessibility from the point of view of someone who is visually impaired before. I try again using narrator. 1) Am I personally adapt at tackling new technology? If so, how so? One way or another I will take to something, visually impaired or not, if I find it intuitive. More importantly I have to have a time and task critical goal. And if that isn’t adequate motivation, what is? Motivation will overcome many hurdles. 2) My context, especially past experience of the tools being used. Here’s a test. This sentence is written entirely as a piece of touch typing, You can see for yourself when and where I start to get lost. To do this, I found myself looking up at the ceiling. Actually, EXACTLY as I have seen a proficient blind user of JAWS do. Think of a blind pianist like Stevie Wonder. Why look at the screen that offers no clues … no support, rather sit back and let your fingers do the talking and the seeing. There is a reason why learning the piano as a boy the teacher covered the keyboard – at least I had the music to sight read. Equally there is a reason why learning to touch type on day three or four or something I found myself sitting at a blanked out keyboard. Decades on I delight in the fact that six or more keys on the keyboard have been wiped clean. I just centre my hands and get on with it. A similar challenge has been drawing while not taking my eyes off the object (or person) I am drawing. These are skills of dexterity, with or without sight. The appropriate test for assistive technology has to be with someone with the impairment being tested for … and ideally, as you would do in any research, with a group that are representative of the adapt as well as new comers. Whilst personas will do, when we have credibly empathy with a potential user, when it comes to disabilities first hand experience is required – far better to engage them and understand it from their point of view than try to imagine what it is like. THIS is how the wrong decisions are taken. Instead of imagining what it might be like – get out and do first hand research with actual representative groups. This is far, far more revealing (as planners in advertising agencies will tell you). October 26, 2012 10:38 am / 1 Comment on “All education is about empowerment, whomsoever the learner might be”. Effective preparation for teaching a deaf or hard of hearing student centres around good communication. What are the main accessibility challenges for disabled learners in a UK swimming club? In the context of competitive swimming, disabled athletes, their coaches and support staff – particularly those with hidden and declared disabilities – are the learners under consideration here. To define ‘disability’ in the context of swimming we look to the internationally recognised classification system – broadened to include from a development point of view swimmers with learning difficulties, while the coaches and support staff may have an impairment related seeing, hearing, communicating and mobility. Whilst coaching takes place in a pool and gym, and indirectly at the dining table, learning takes place online, in workshops and at conferences, and through applied learning at the pool. E-learning is therefore part of the blend. Mid-Sussex Marlins Swimming Club (Marlins) is a ‘Hub for Disability Swimming’ – which means it is recognised by the Amateur Swimming Association (ASA) as the lead club in the Southern Region. Without ‘water time’ set aside for disabled swimmers there would be no swimmers with disabilities – though coaches with declared and hidden disabilities would still operate poolside. Marlins draws swimmers with a wide spectrum of disabilities from local specialist schools. As the club teaches and develops swimmers it overlaps with nursery, primary, secondary and even tertiary education. As the London 2012 Paralymics demonstrated athletes with a wide range of disabilities compete in swimming – Marlins must correctly use the classification system when disabled swimmers compete, which in turn leads to an openness about the disability or disabilities which greatly improves communication between student and coach, or learning provider. Athletes and coaches study a variety of sports topics relating to swimming in a series of stepped qualifications and continual professional development (a licensing requirement for coaches) largely through the ASA, but also at undergraduate and postgraduate level through specialist university courses. It is the relationship with the ASA, and its learning wing, the Institute of Swimming (IoS) that I wish to cover here as this is the primary source for both sets of learners. The ASA operates in England & Wales. Through something called the ‘Swim21 Accreditation scheme’ clubs agree to abide by a lengthy series of rules, regulations and practices across the three areas of compliance, workforce development and athlete development. There are issues, policies and safe guards in relation to swimmers and staff with disabilities in all three areas, including equity in sport to limit any discrimination, whilst directly related to disabled swimmers and coaches, provision to provide fully supervised and safe swimming sessions, with qualified and CRB checked staff – this disability section is managed by the club Disability Officer, while a Workforce Development Officer and Swim21 Officer ensure that stipulations regarding disabled swimmers and coaches are properly adhered to – this includes a close working relationship with the facility provider and liaison with the learning provider, the ASA. Seb Coe in his closing speech of the Paralympics 2012 spoke of ‘lifting the cloud of limitations’ and it is in this spirit that disabled people are encouraged to join the club as swimmers or coaches. The nexus of workforce development and athlete development for disabled swimmers at Marlins is ‘empowerment’, which Tennant (2009:154) says is ‘what all education is about … whomsoever the learner might be’. Learning takes places all the time, whilst the coaching context is poolside or in the water, or land based training in a gym, ‘education’ in the formal sense takes place online, in seminar and workshops on our premises or further away, as distance learning and campus based. The choice is wide, the result would best be described as ‘blended’ with both athletes and coaches keeping a personal development plan online monitoring their progress in a virtual learning environment on the IoS website called ‘My IOS’. Competitive swimmers achieving or expecting to achieve Regional or National Qualifying Times are expected to take part in regular learning sessions to gain qualifications, or to earn and update CPD points. Topics include physiology, nutrition and hydration, tapering and long term athlete development. A coach is expect to achieve the Level 3 Head Coach qualification or beyond. At level 3 there are ten modules each comprising a chapter in a workbook, day-long seminar and paper assignment. Assignments are submitted electronically. To be licenses coaches must also do regular CPD – there are is wide range of these online. ‘Workforce’ members with specific roles are also expected to take and keep up to date a range of CPD qualifications, all available online as standalone or supporting units – topics include several in relation to disabled swimmers, as well as risk assessment, team management and so on. Both athletes and coaches have a personal development plan with goals set for the short, medium and long term. In relation to swimmers, a log book is kept – the coach will also have privileged information on an athlete’s disability or disabilities. This openness, of necessity in sport, is advantageous in the relationship between student and learning provider as armed with a clear statement of the disability provision can be made. A large club is likely to have specialist input from a physiotherapist and nutritionist and sports psychologist. Rules in relation to the Data Protection Act are followed closely, indeed there’s a one hour CPD on this too. One would therefore hope that in the learning context that the ASA would be better able to accommodate all learners with disabilities. Indeed, I have attended courses and taken qualifications where a Dyslexic coach has been supported by a note taker and reader, whilst online, the IoS ‘Accessibility’ provision is thorough, with the build of online build design with range of disabled learners in mind so that content can be enlarged, fonts and background altered, the text read by a Screen Reader and operated through unique sets of key or a tracker using devices such as a tracker ball. There are a number of challenges in relation to the various stages through the learning process from 1) funding, the 2) time required, 3) access to online and distance learning materials and face-to-face learning and 4) assessment. Funding for disabled learners – athletes or coaches, comes from five sources: 1) national and local government provision through the SFA as well as indirectly benefits and support in the community in relation to the disability so mobility, housing and other such allowances 2) sport specific support from the likes of Sports Council UK and the ASA, as well as from the learner’s club and local leisure operator, as well as grants or bursaries from 3) national and regional associations and institutions related to specific disabilities and 4) from post-compulsory education providers, colleges and universities who, for example, running courses in sports psychology, sports hydration and nutrition or leisure management 5) from parents, family and guardians and potential local community funds where support may be given for travel, accommodation and any specialist kit that hasn’t been provided for by other means. Going into detail, The ASA, for example, can provide a bursary of 50% of costs for a coaching qualification, while Sussex Sports can provide funding of between £100 and £1000 on a discretionary basis. These funds aren’t ring-fenced for provision to disabled learners who would need to apply in the normal way. What is more, there are many online courses, such as ‘An Introduction to the Data Protection Act’, ‘Protecting Vulnerable Adults’, ‘Help to encourage deaf children to swim’ and ‘Disability Awareness’ that are free and still result in CPD points being awarded towards licensing or qualification. At the highest level disabled athletes will receive Lottery Funding. Indirectly leisure operators make a contribution by making ‘water time’ available at discount rates ideally in peak hours, rather than side-lining disabled swimmers to less social hours and access. Additional time needs to be factored in for disabled athletes and coaches, depending on the disability this will include time in relation to travel and accommodating their disability at learning venues. Online the IoS learning modules follow tight guidelines in relation to access – here, in particular the athlete with a disability, will be familiar with the nuances of their disability in relation to their sport and competitive classification – this means they should be able to communicate in a language that professional educators understand and so enable greater and better access. A key learning point when working with disabled swimmers is to identify and play to their strengths, it is therefore appropriate that this same approach is taken when providing learning. 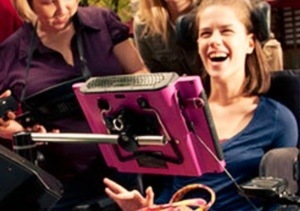 Clear, regular communication between the person with a disability and the institution providing courses is vital so that the best approach is identified and the most suitable kit and software – ScreenReader, Voice Recognition, software, tracker balls, Dictaphones, scanners and so on – are put in place in good time. When it comes to assignments and written exams, as well as oral exams and observation, additional time is given to make the assessment process equitable in the context of sports development. Access depends on the quality and nature of the learning design including how assessment takes place. Motivation can be an issue for students with a disability, however a coach will have undertaken sports psychology so ought, perhaps better than educators or there in a mentoring and managing role, to understand how best to deal with stress and low motivation. What is more, people in sport used to setting short, medium and long term goals. There are potentially four key individuals in the learning experience of a disabled athlete – their parent or guardian, at the club their coach and the disability officer, and at the learning provider, their tutor. I’m planning to use the context of swimming from the perspective of undergraduate age elite swimmers and coaches, therefore looking at components that are taught to athletes and higher level coaches away from the pool in workshops and online as blended learning: workbook, online, day or half-day workshop/seminar with a written assignment. Student, teacher, member, administrator, pool, desk, workshop … learning in extremis. Context – nature of campus, policy, history if and funding of accessibility, maturity and life-experience of the student (born with the impairment or not, residential experience or not). Gender, age, socio-economic group and sexual orientation. Before or after the London 2012 Paralympics and the call by Sebastian Coe to ‘lift the cloud on limitations’. Visual – sight, images with a learning purpose require description, careful with demonstrations. Communication – find spoken or written words difficult, speaking in groups. Communications is the big issue. Emotional. Ability to empathise with others. Anxiety/stress. Motivation. Marjorie Ritchie, the institute’s surgeon, who was highly active and engaged with the animals as part of her research at the Roslin Institute in 1995 until she developed Multiple Sclerosis in 2000. Stereotypes (Kaplan, 2000) – whose problem is it anyway? · Upgrades to software making it worse, such as Delicious. · Time to get things sorted out ‘A week can seem like a really long time sometimes, especially if in that particular week existence as you have known it for the past 19 years changes as completely as is humanly possible’. · Tiresome visits to the GP. · Low self-esteem and disillusionment. · Lee’s diary – I don’t wanna be an inpsiration. Equipment, repairs, technical support, insurance, extended warranty. (I liken it to a game of snakes and ladders in which the disabled student needs to avoid both, which sounds inequitable: ladders they cannot climb for lack of access and snakes that pose a problem to them that are avoidable or inconsequential to others). Francesca Martinez: ‘Francesca is Francesa – this is who she is. No fix is required, neither to her or to society’. Changing teacher attitudes : Not what I want to teach, but what, after assessment, they need to learn. No longer had a flexible peg jumping through an institutional, departmental, and academic or LD designed module, but a flexible peg and an accommodating hole. · Preference for ‘lively discourse’ rather than essays and exams – more discourse in North America. “I think disability is a personal thing. Each person has their own problems, their own hang ups and their own way of dealing with it…. You can make general adjustments for them but you’ve got to act on one premise. Whatever disability – whether they’re a wheelchair user, hard of hearing, autistic etc. – each person has their own problems and you must treat them in that respect”. Metaphors of ‘bridging’ or ‘barriers’ can be counterproductive. Learning must be personally meaningful. Piaget. In Rethinking Pedagogy notes. · Boring lectures must be better. · Charlotte’s diary – I feel I’ve been an outsider for quite long enough and it’s time for a change. · Very helpful with introductions, 3rd Year Student Support and lecturer support. Given advice about the dog too. o Forster wisely consulted some of his older pupils, and they advised adapting braille for the purpose. o Flexible, adaptable, accommodating and building on past experience and successes – so motivational and supportive rather than prescriptive. FUTURE – if ‘Teaching to write with a pen and pencil is now generally abandoned as a waste of time’: but those boys who could write before they went blind were encouraged to keep it up. Forster admitted that much teaching was still oral, but not to the extent it was ten years before’ will using a keyboard go the same way? Responsive websites, granularity, varieties of ways in, through and out of a course. Caveat: if you cannot be clear and open about defining what the problems are how can they be overcome, ignored or fixed? · Don’t assume she requires lecture notes on PPT enlarged, actually reduced as she has tunnel vision. In 12pt can only see two or three words at a time. Visually Impaired – Andrea. Preparation as a professional education covers three main areas. Students with specific learning difficulties often have to chunk their learning into bite-sized pieces with plenty of time for rehearsal. Provide clear learning outcomes and describe your expectation of how these will be achieved – offer some flexibility to suit all learning styles. This allows a student who is unable to achieve your preferred layout, for example, a chance to negotiate an alternative method of presentation with you. Plan the structure of your sessions to allow question and discussion time, as well as moments for reinforcing knowledge and building on what has already been learnt. Link new material to old by using a stepped approach. QQ Think about whether the suggestions in these resources cover the cases of the wheelchair user and the deaf student described. Access is often the main issue for those with mobility difficulties. Note taking and coping with other aspects of practical work can be problematic for those who have dexterity difficulties, pain or fatigue. Allow extra time for the student to arrive at your session. If electronic media are used then computer accessibility issues should be checked. 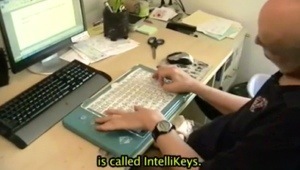 (Including keyboard and mouse, and software). Plan ahead for practicals and fieldwork. Have a named contact for the student in case of unexpected changes to the format, timing or rooms for a particular course. QQ Are there more complex situations that are not covered? The attitude to blindness pioneered by those who founded Worcester College is, I think, best exemplified by Samuel Forster when he asserted that ‘the blind boy of healthy body and sound brain is, to all intents and purposes, nothing more than a seeing boy, whose lot is cast in the dark…blind boys are boys first, then boys in the dark…’, an attitude which much later became embodied in the school’s motto, “Possunt quia posse videntur”, They can, because they think they can. Dybwad (1960) encourages those with learning difficulties to be given more time, even years, in training and apprenticeships in order to succeed. He also advocates young women with learning difficulties to be given the same opportunities as males in order to receive the full benefits. Interestingly he feels here it is their families holding them back with worries about their safety/conduct. Dybwad feels these fears are unfounded and disadvantage the women. Kaplan, D. (2000) ‘The definition of disability: perspective of the disability community’, Journal of Health Care Law & Policy, vol. 3, no. 2, pp. 352–64; also available online at http://libezproxy.open.ac.uk/ login?url=http://heinonline.org/ HOL/ Page?collection=journals&handle=hein.journals/ hclwpo3&id=362 (last accessed 07 September 2012). Making Your Teaching Inclusive (2006) Models of Disability [online], http://www.open.ac.uk/ inclusiveteaching/ pages/ understanding-and-awareness/ models-of-disability.php (last accessed 7 September 2012). Seale, J. (2006) E-Learning and Disability in Higher Education: Accessibility Research and Practice, Abingdon, Routledge; also available online at http://learn2.open.ac.uk/ mod/ subpage/ view.php?id=153062 (last accessed 7 September 2012).